Published: Dec. 25, 2016 at 06:12 p.m.
Baltimore Ravens QB Joe Flacco places a perfect pass to wide receiver Steve Smith Sr. on 18-yard TD. Published: Dec. 25, 2016 at 04:53 p.m.
Baltimore Ravens wide receiver Steve Smith Sr. spins away from defenders for a 44-yard reception from quarterback Joe Flacco. 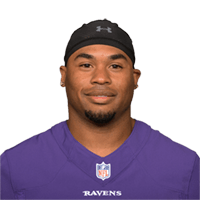 Published: Dec. 18, 2016 at 02:34 p.m.
Baltimore Ravens quarterback Joe Flacco goes deep to wide receiver Steve Smith Sr. for a 34-yard touchdown. Published: Dec. 12, 2016 at 11:46 p.m.
Baltimore Ravens QB Joe Flacco finds wide receiver Steve Smith for 25 yards on the back shoulder throw.